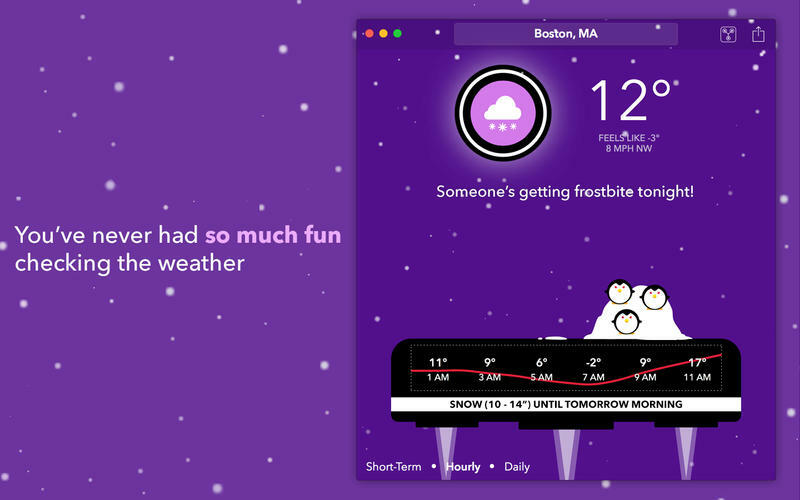 CARROT’s Mini Window resides in the menu bar and lets you view the short-term, hourly, and daily forecast with a quick click or keypress. 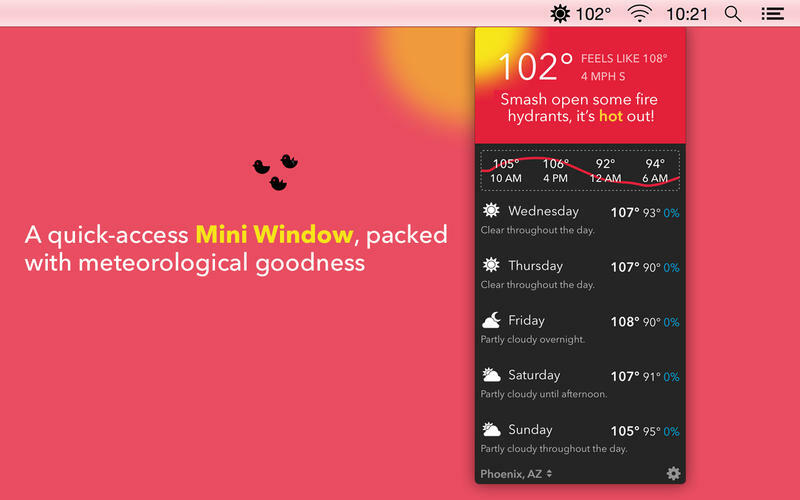 You can even detach the Mini Window from the menu bar and keep it in front of your other apps. Unlock 30+ secret locations – like Mount Doom, Nakatomi Plaza, or the Moon – just by using CARROT.